Don’t be disheartened when you can’t visit a ‘must-see’ place or can’t do ‘things you should do in your life time’ as splashed in a plethora of articles (usually recycled) in print and online with filtered glossy pictures . I have done a few of such things and it usually has been a painful experience. Some were as close to being traumatic. From witnessing the F1 race when it happened for the first time in India some years ago to going up the historical towers in different countries- it has only been a time consuming, money wasting and mob-intimidating experience. 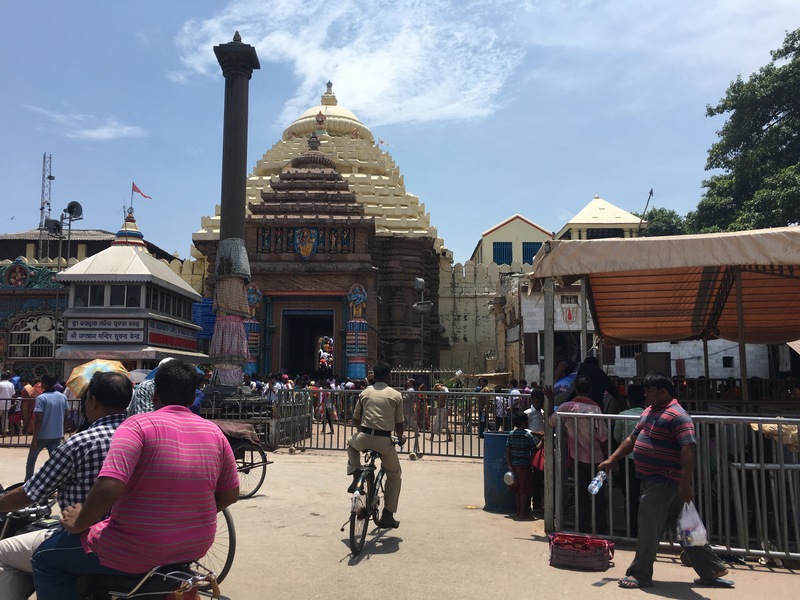 Very recently, in my quest to make the best of what could be my last ever visit to the lovely coastal state in the east of India, Odisha, I decided to visit the iconic holy temple of Lord Jagannath in the small town of Puri, some 50 km away from where my dad works and lives in the state’s capital, Bhubaneswar. I have visited Puri some 4-5 times in the last 2 years but have always headed towards the beach. This last trip was more like ticking an iconic place off my suddenly-erupting-from-nowhere checklist and letting everyone know, all those people who asked me earlier if I had been to the temple, that yes, I have! It is akin to going to Paris and not visiting the Eiffel Tower. I am lucky I survived the very poorly-managed frenzied crowd that went berserk as soon as the gates to the sanctum opened. In a place where one should ideally display their best behaviour– after all, you are in the abode of God, one could see their worst coming out. They didn’t care if there were children (and a lady even got her one-month old baby! ), ladies, old, sickly and frail people around them. They continually pushed one another till they reached the point where they could catch that one glimpse of the God’s idol. The mob was intimidating. I was one of them. I had to push along to survive. There was just one exit and the only way to it was by being carried away to it. I felt more awful for my mother who accompanied me as she is a quasi-claustrophobic. After a certain point I lost her in the throng. With phones being banned inside I could not contact her. Luckily, she had managed to reach the exit. I have been to some amazing places in the state whch do not have the “must visit” tags attached to them. 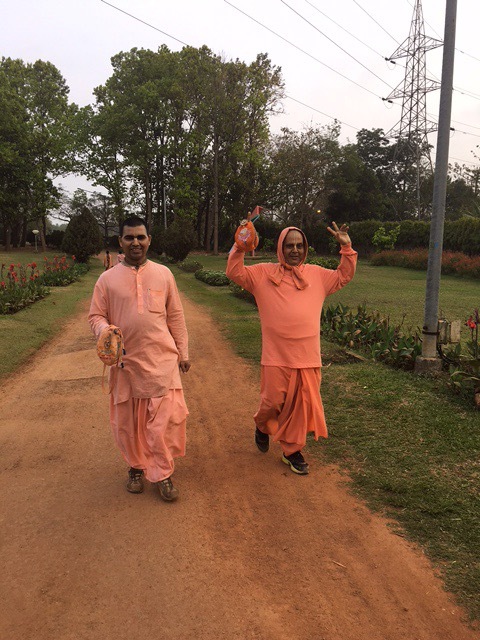 Starting from the Biodiversity park two minute away from my father’s accommodation where I jog every morning to visiting lovely beaches in the coastal towns of Konark, Puri, Gopalpur-on-Sea, and Chandipur-on-Sea. The Bay of Bengal looks so vast and beautiful. Not to forget the architecture of Konark’s Sun Temple which is breath taking. I am better off visiting the temple across the road where my dad lives. I have not witnessed anywhere else the enthusiasm with which the priest performs the daily evening prayer. 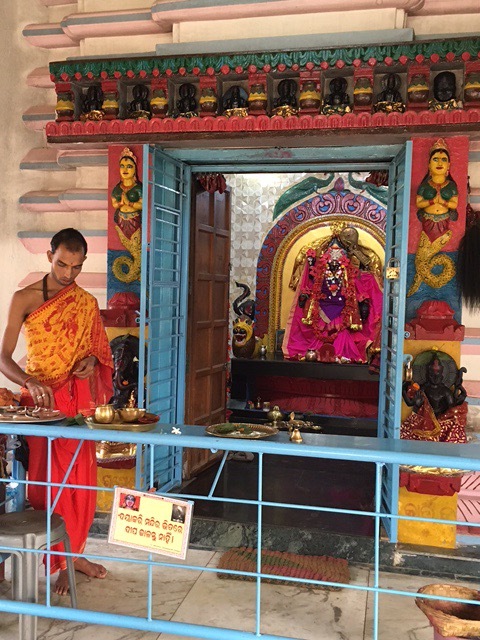 As he goes in trance, some devotees play the drum and ring the gongs in cadence. You can feel the passion, the vibrations, Goddess Kali being invoked. And most importantly, you can breathe and come and go as you like. So if those ‘must’ visit places attract mob, then you are better off watching them – the games, the places, the people – in the magazines or on the television. You have not missed out much. You have rather been a wise person. Explore unknown places. Uninhabited places. Unpopular places. Place that you will genuinely enjoy and not just go to a place ticked as mandatory by others. my one rupee change, please! A cheap to expensive product costing one rupee less is a tried and tested marketing strategy which has gone down extremely well with both consumers and sellers globally. Consumers of course, like always, are the gullible lot.So the consumer believes that he/she is paying nearly hundred rupees less where as it is just the other way around. That one rupee-less marketing strategy is not my woe. 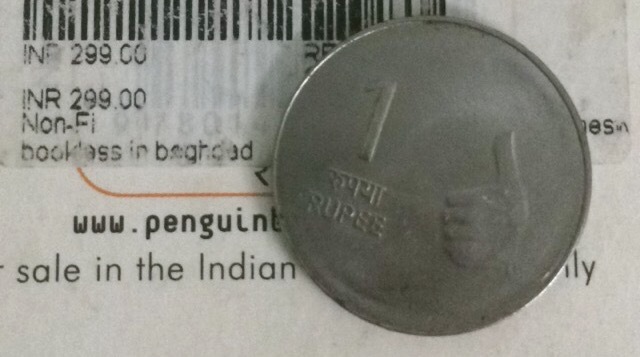 It is the one rupee that we do not usually get back from the shopkeeper is! Of course, if you are paying by card then the exact amount is debited but if you pay by cash, it is very likely that you are expected to forget about that one rupee. I usually sense embarrassment in asking for that one rupee back and I am sure many others can relate with me. Imagine the scene with other customers around you and you asking for your very own one rupee! After all, what can one rupee buy these days? And why should that one rupee matter to you after purchasing, lets say as in the picture above, a book for Rs. 299? What is one rupee, after all? A couple of months ago, I remember the embarrassment I felt when my mother asked for that one rupee back from a reputed shoe shop in a plush mall. I behaved as if I was just not there. And I was even cheeky enough to nonchalantly walk out of the shop as my mum gave the shopkeeper a well-deserved piece of her mind. However, when I went to a book store in my local market a few days ago I felt awkward not getting my one rupee back. Would they have sold the book to me if I had one rupee less? No. Where does that one rupee go? I doubt if it goes to a good cause else the shop would have flashed it in their shop or even kept a charity box. And like my mother says, you rather give it to a handicapped beggar sitting outside the same shops than to shops who have found another way to make profits illegally. Well, I didn’t ask for that one rupee back. Time to finally not look down upon one of those shrilled-voice women who wear garish makeup, carry a Gucci bag and Prada shoes (no, not describing my mother but how she would love to have these high-end products one day!) but when it comes to their one rupee, embarrassment is not in their dictionary! A few recent events has made me conscious of the dilemmas or dilemmatas (how I love irregular plurals!) that surround me everyday. How grave or trivial these dilemmas are is highly relative. A trivial issue for someone can be grave for the other depending mostly on the environment of the reader/spectator/actor in which he or she has been brought up and/or is living in. 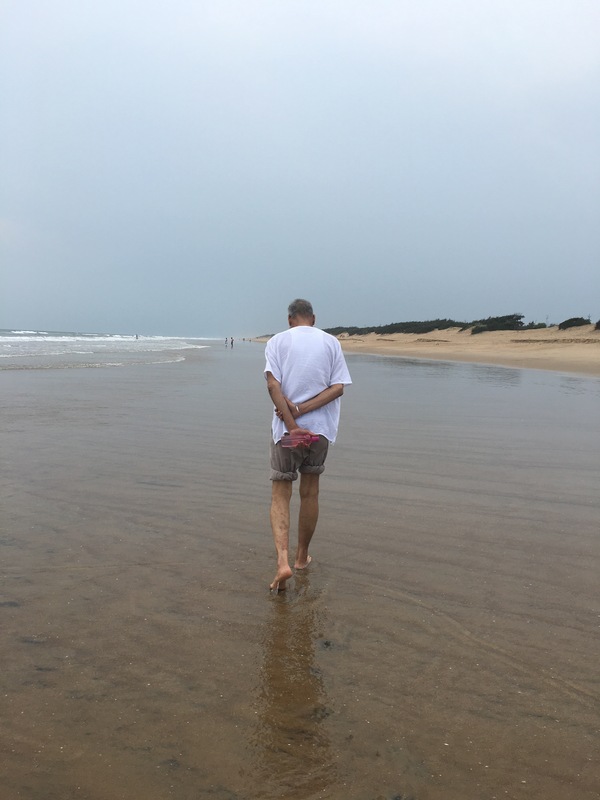 Coming back to me, this blog captures my everyday’s dilemmas. Is it because I have started reading more on social issues, moral issues (besides devouring on hard-core fiction books) or have these been thrust upon us owing to the increasing presence of social media and the 24 by 7 news channels? Or is it because I have possibly and finally come of age? I cannot tell.